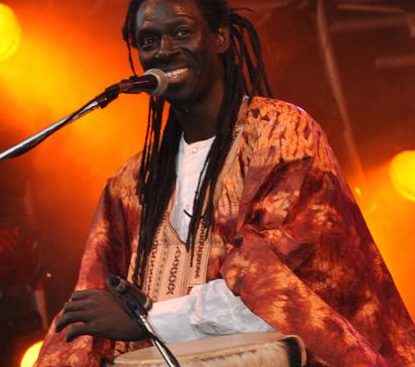 Zale Seck was born into a griot family in Senegal. His role in life is as a historian, storyteller, praise singer, poet and musician. Learning singing, percussion and guitar is all part of a griot’s life.